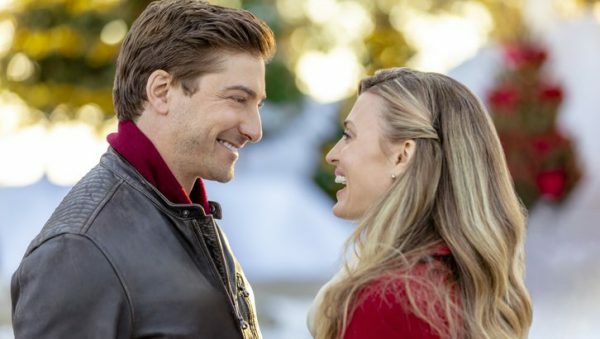 Tonight’s Countdown to Christmas movie on the Hallmark Channel is “Christmas in Love” starring Brooke D’Orsay and Daniel Lissing (From Hallmark’s When Calls the Heart series). Ellie Hartman (Brooke D’Orsay) is an aspiring crafter working in her small town’s bakery making famous Christmas Kringles. When the new, big-city CEO Nick Carlingson (Daniel Lissing) visits the bakery, he arrives filled with modernization ideas destined to lay off many employees. During his visit, Ellie is to teach Nick how to make a Kringle, and determined to show him it’s the people who make the business a success, not machines. Nick meets more of the employees and townspeople, visits the food bank and begins to see all the kindness that is shared, and he begins to soften — though not convinced automation isn’t better. Struggling with chasing her own entrepreneurial dreams, Ellie begins to fall for Nick but not before feeling betrayed when she inadvertently sees Nick’s laptop filled with automation plans. When Nick finally tells the employees his future ideas for the company, Ellie must decide if she should trust him, but more importantly, whether to take a leap of faith in making her own dreams come true. I was excited to see in the movie trailer that Ellie’s famous item in her bakery is Kringle. 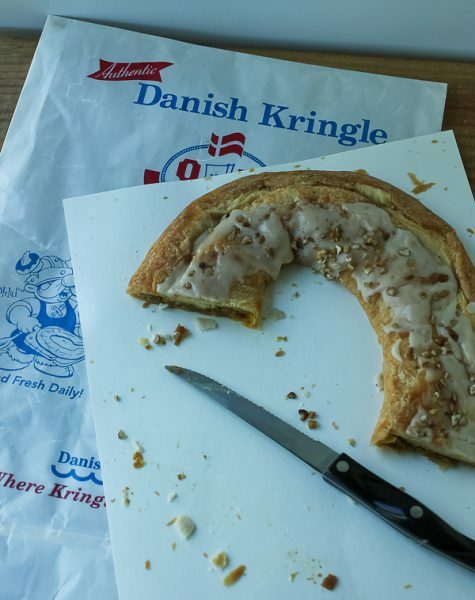 Kringle is a flaky, oval-shaped pastry with fruit or nut filling, brought to Wisconsin by Danish immigrants in the 1800’s. Kringle was designated the official state pastry of Wisconsin in 2013. 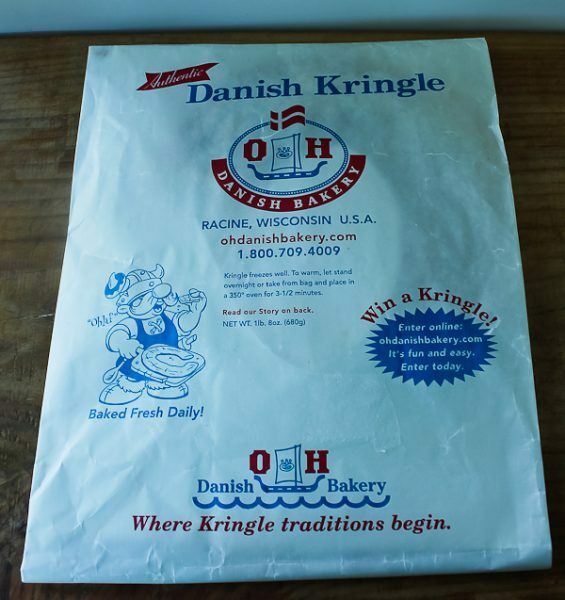 I live just 20 minutes from the Wisconsin border and am very familiar with Kringle, especially those made in Racine, considered the Kringle capital of the world. The Kringle shown in the movie doesn’t look exactly as the official Kringle with its oval shape and open middle, but Kringle can be made into different shapes. Read more about Wisconsin Kringle here. 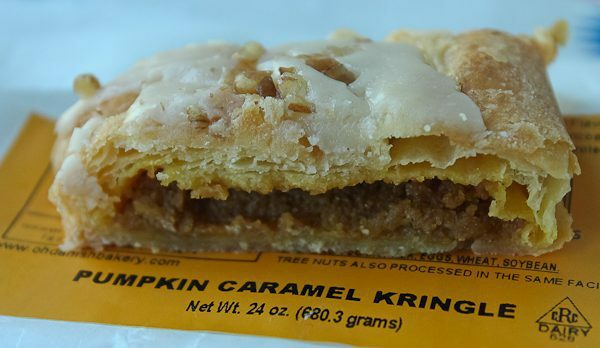 There are many Kringle flavors, but I can tell you that this Pumpkin Caramel one is amazing! 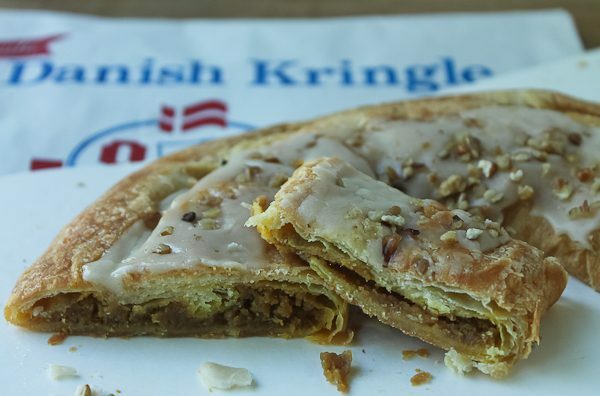 If you love Kringle or have never even tasted it, you are in for a treat. They can be purchased online here. Tune in tonight for “Christmas in Love” at 8pm/7c. Eat some Kringle if you can. Looks and sounds delicious. What could be better than a tasty treat with a cup of coffee. Thanks for sharing. Thank you for sharing this post! The Kringle does look delicious! Thanks, Dawn. Kringle is amazing!